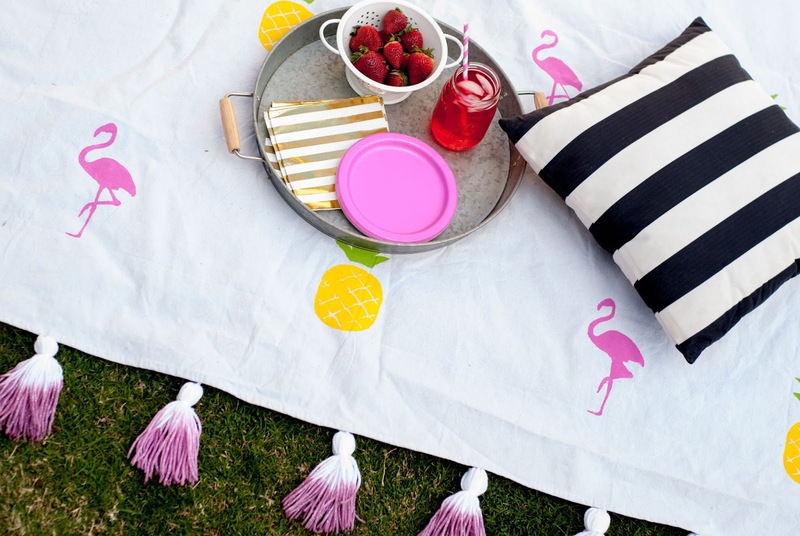 Summer will be here before we know it and that means picnic season! Are you tired of grabbing that old bed sheet and heading out to a shady spot at one of the Central Valley's parks? 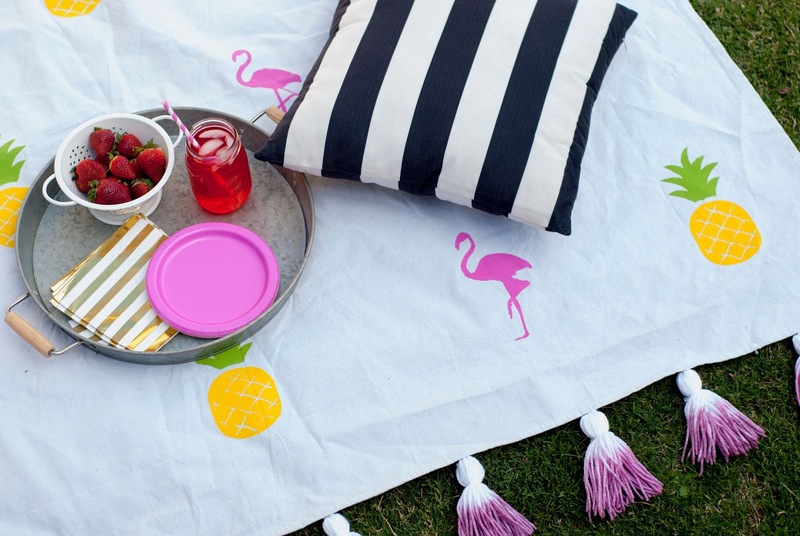 Whether you are attending a concert in the park or having fun in the sun, I've got you covered with hand painted drop cloths! 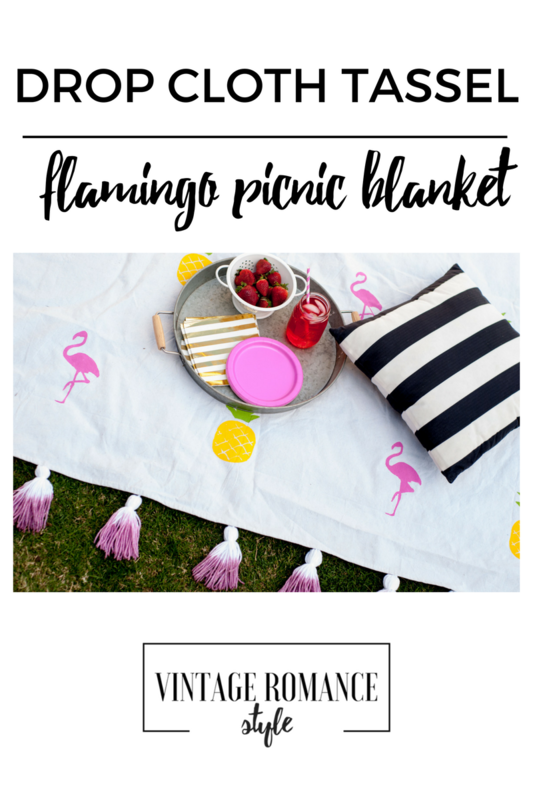 This picnic blanket is adorable,washable, inexpensive, and can be customized with any print. *Silhouette machine + stencil material if you want to create your own stencil. NOTE: You can use this with any stencil but I really did love making my own to fit my design vision. Step 1. Grab your stencils or design your own stencil with stencil material and machine. Step 2. Put some paint on cardstock or a paper plate. Step 3. Firmly press down the sticky stencil on to the left corner of the drop cloth. Step 4. Sponge the paint on top of the stencil until it is fully filled in. Step 5. Do the same for the pineapple. Once filled in, pull the stencils up and place them on the next spot. Continue with a pattern until the entire thing is stenciled. I did row 5,4,5,4,5 alternating stencils. Place a plastic tablecloth over your dining table and stencil on there. When stenciling it will bleed a little from the back. The tablecloth protects your workspace from that. Plus, It won't hurt your back and you'll have plenty of space to work on. Once it is completely dry, add your yarn tassels to all 4 corners or all around, your choice, I did so with a button and placed the loop of the tassel around it so that I'm able to take them off to wash the blanket after some fun in the sun.